They say the sense of smell is powerfully connected to memory. It’s been raining, and the scent of lilacs surrounds the house. Every time I step outside, the flower smell hits my brain and lifts my feet a couple inches off the ground. Wow. I remember being an undergraduate art student at the University of Idaho in Moscow. Spring can be rainy there too. I rode my bike to the art department, and painted the sensation of lilacs in the rain–lots of dripping green with some purple. 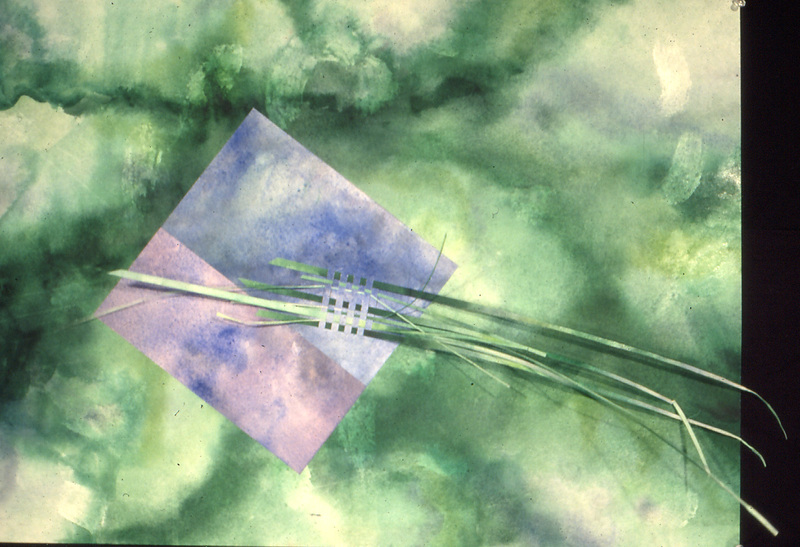 In 1987 I was experimenting with layers of watercolor and acrylic medium on a paper with an interesting surface. Strathmore Aquarius II–it had strands of fiberglass in it. After the painting was dry, I would take it to the paper cutter and slice off long pieces, and weave them back into slits I made in the body of the painting. This was a fun and liberating phase of making art, especially because it horrified the architecture students in my painting class. I could see them flinching over their tight renderings of buildings every time I brought the paper cutter blade down. If I were painting the smell of lilacs today, I think I would put in more purple. Oh my…. Lilacs stimulate memories I’m not sure are even mine. My great grandmother’s bungalow in teeny Clinton, MO. Houses I have lived in. My last garden. There is something so nostalgic about lilacs. I love them even though they make me sneeze violently : ). The painting and the photograph are both beautiful, and the reaction of the architecture students to your slicing and dicing made me laugh out loud…. 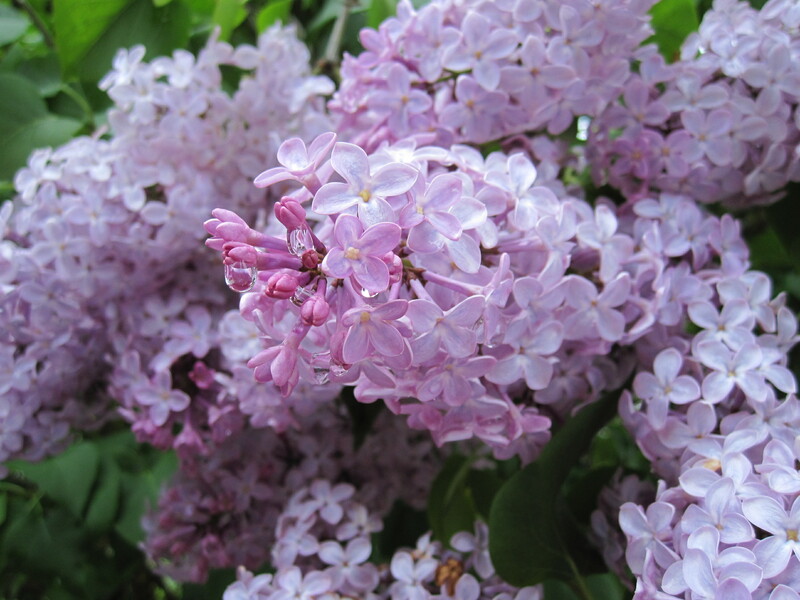 The lilacs in Moscow were extraordinary – I now live in Florida and miss their fragrance and color. The blooming shrubs would transform the alleys that I walked through on my way to class. I took some drawing classes and was amused at the architecture students -they wanted everything “correct”.